Since 1929 the Arizona Biltmore Hotel, with it's acres of gardens and iconic architecture, has been a destination spot for celebrities, politicians and locals alike. Their signature restaurant, Wright's, provides the diner with elegant surroundings and classically inspired dishes that easily transports them to another time. Did you know that the Tequila Sunrise was born at the Biltmore? 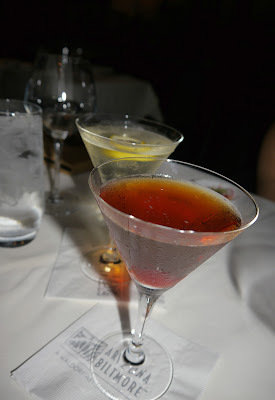 Today it's served along side many other classic and signature cocktails. Wright's prides itself in using the finest and freshest ingredients from local farms and herbs from the chef's garden outside the dining room, to create restaurant classics. 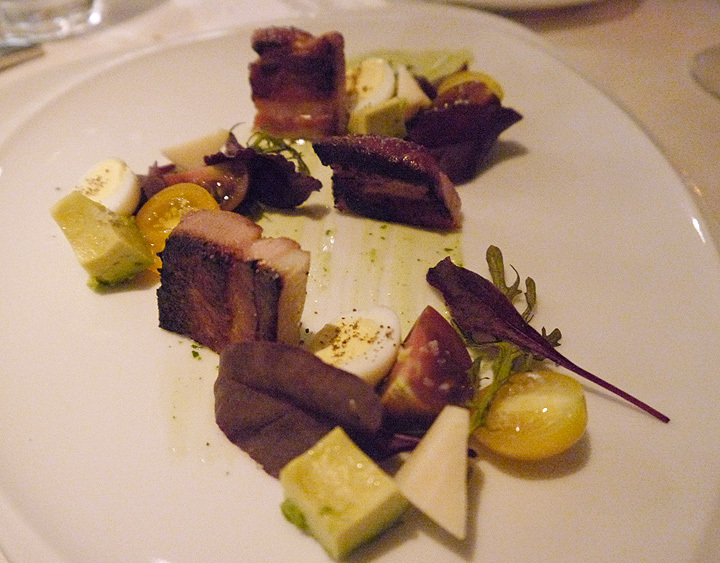 Take for example the Cobb salad; cubes of avocado adorn the plate along with hard cooked quail eggs, tear drop tomatoes and thick cut bacon. All of this is topped with a creamy avocado buttermilk dressing. Both different and delicious. I like the twists Chef Gordon Maybury has come up with to turn the ordinary into something more interesting. 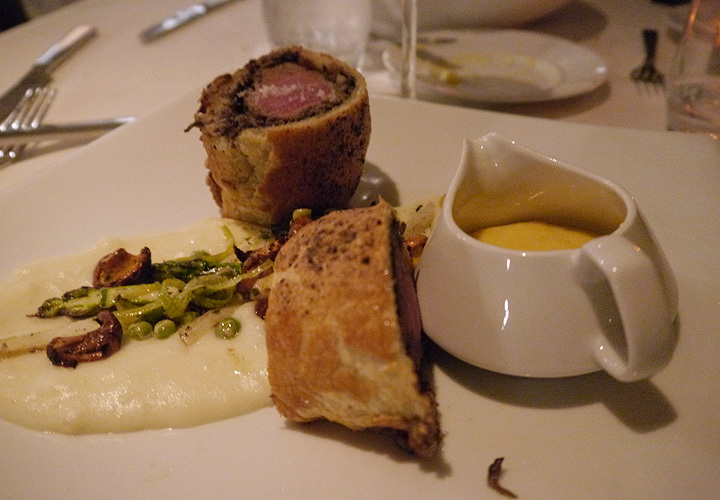 Anyone can serve up a traditional beef wellington; but at Wrights a layer of foie gras is added between the meat and the pastry. This subtle difference is enough to bring this dish to a whole new level. More on the traditional side and very tasty is the Caesar salad. 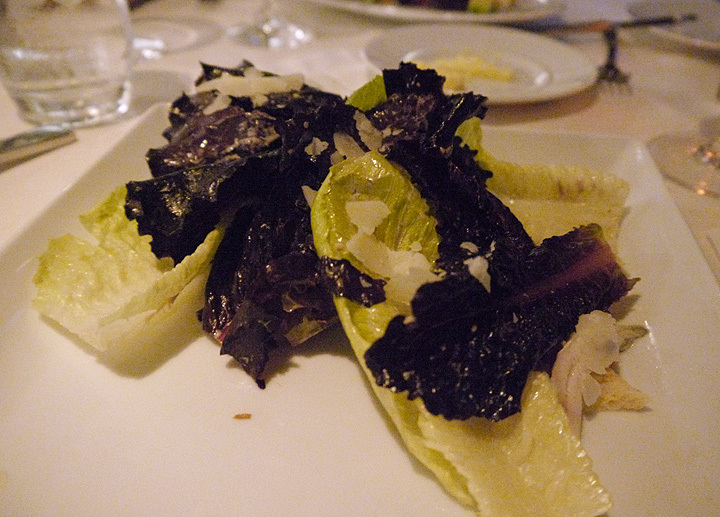 Romaine lettuce, anchovies and Parmesan; exactly how you'd expect one to be. 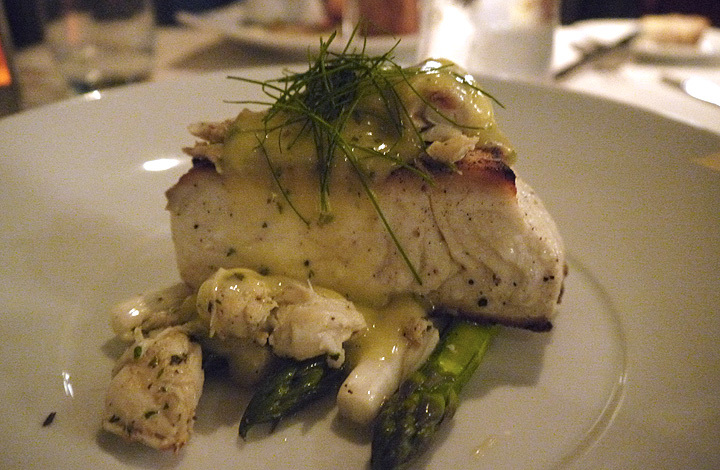 The Halibut Oscar; halibut topped with crab meat and a Bearnaise sauce is delicious more traditional option. Anyway you look at it you really can't go wrong with your food selection at Wright's. 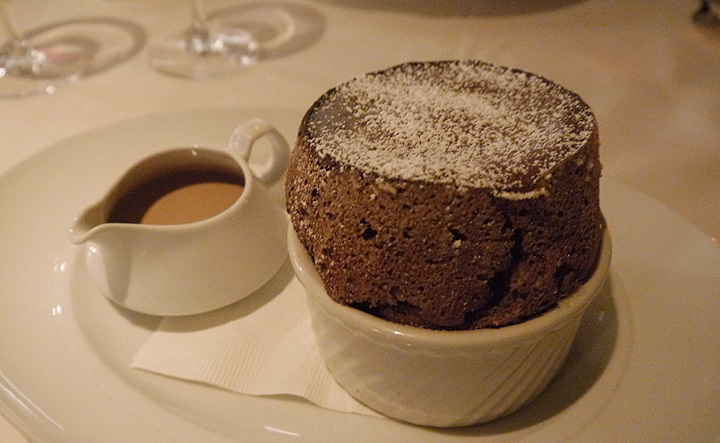 No meal would be complete without dessert and Wright's signature souffle is a fabulous choice. Though many might find Wright's to be expensive if you compare it to other's in it's category it goes far beyond price. Wright's is a throwback to a time when dressing up for dinner was the norm; when what we referred to as classic cocktails and menu items were just being discovered and a time when going out to dinner was more than just what was on your plate. With it's elegant decor, attentive waitstaff and delicious food Wright's is the perfect spot for a special occasion or a romantic evening out. Whatever you do don't pass up the opportunity to try it; you won't be disappointed.